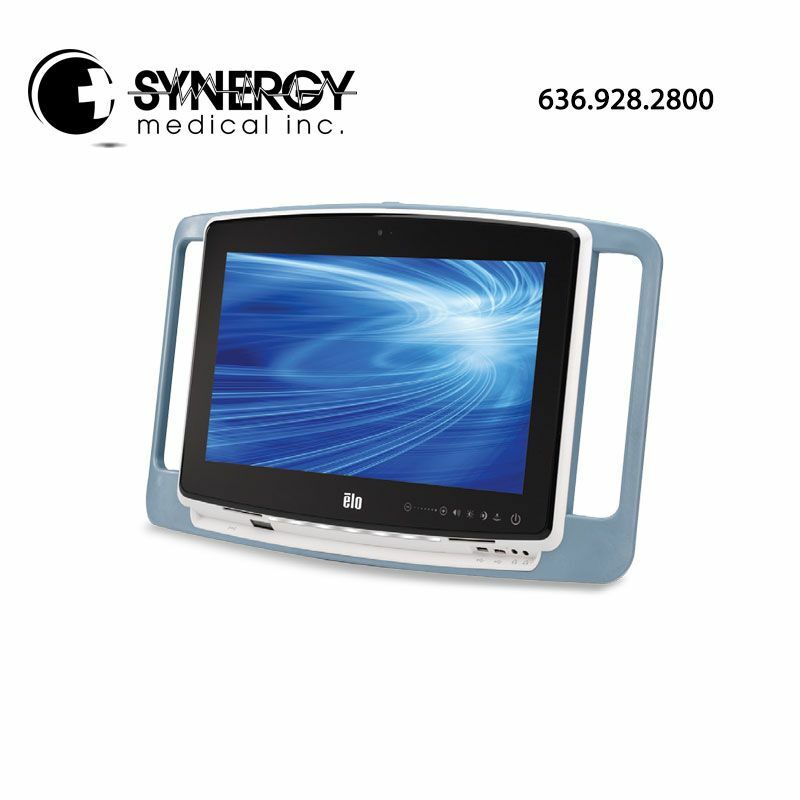 The Elo E584843 19″ VUPOINT Touch Computer truly makes healthcare more connected. The integrated communications and computing platform is purpose-built for medical and healthcare environments designed to deliver patient-centric services such as entertainment, information and other services such as electronic medical records. It is a flexible, fully-featured system, with multiple options available to expand its usage and configurations. The Elo E584843 19″ VUPOINT Touch Computer offers a choice of two Intel processors – 1.8GHz Dual Core Atom D525 or 1.1GHz Celeron Dual Core 847E – and multiple connections as well as optional accessories for telephony handsets, and card readers. The fan-less touchcomputer is built to comply with technical standards for the safety, essential performance and effectiveness of medical electrical equipment. A drip-proof, easy-to-clean screen offers protection from drips, leaks, and spills. Featuring a projected capacitive (PCAP) touchscreen for a fast, sensitive touch response, The Elo E584843 19″ VUPOINT Touch Computer’s modern design will blend in with the most sophisticated hospital surroundings. An AccuTouch five-wire zero-bezel resistive touchscreen option provides stable, drift-free operation. The sleek, stylish design is slim with an LED backlight for lower power consumption, yet rugged in construction for long-term durability. The easy-to-clean, sealed zero-bezel touchscreen has no gaps to trap dust and dirt, and the slim, light-weight touchcomputer has built-in handles to easily move the unit while attached to a mobile cart, swing arm, over a bed, or alongside a treatment chair. For more information on the Elo E584843 19″ VUPOINT Touch Computer please visit Elo Touch Solutions. Mounting Options 100 x 100 mm VESA mounting standard.